According to Worldmeters.info, there have been over 108,500,000 computers sold this year alone. While this may sound impressive, we have to take into consideration what happens to our old devices once we replace them with a new model. The impact of throwing away old devices versus reusing them can have consequences beyond reducing e-waste in landfills. Using a circular approach with computers we can create a sustainable model that impacts individuals, organizations, and communities everywhere. The circular economy is the opposite of the current “take, make, dispose of” linear economic model of materials and products that strain our current resources. A circular economic model “is restorative or regenerative by intention and design. It replaces the end-of-life concept with restoration, shifts towards the use of renewable energy, eliminate the use of toxic chemicals which impair reuse and return to the biosphere, and aims for the elimination of waste through the superior design of materials, products, systems, and business models” according to the World Economic Forum. The shift to reusing old devices copies this circular approach by eliminating waste and giving electronics a longer lifespan. Through a process of reusing them for work, education, creating jobs and limiting the environmental impact creates a sustainable product from our old electronics. 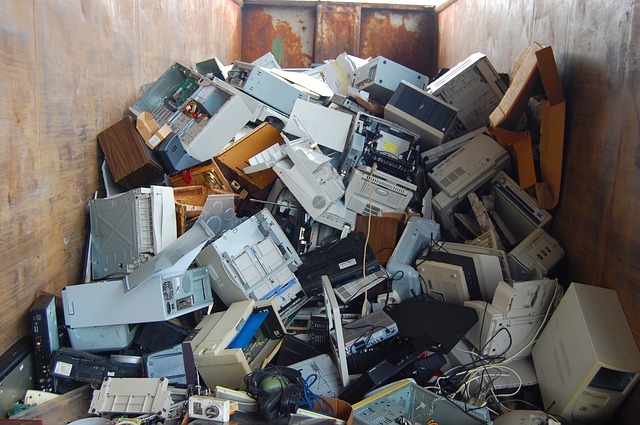 Unfortunately, a majority of our old electronics don’t get reused and end up landfills. What needs to happen is an endorsement from major tech and manufacturing companies to commit to reducing and reusing old electronics. This could be similar to the plan developed by Ellen MacArthur Foundation and World Economic Forum which “ensures 70 percent of plastic packaging is reused and recycled globally, up from today’s 14 percent” The circular economy has the potential to preserve economic growth in case of financial and other economic crisis in the future. In this situation “by reducing waste at every stage of the value chain, the circular economy plays an essential role in decoupling economic growth from natural resource use, thereby helping to preserve the environment.” This allows for greater efficiency with valuable resources, such as rare earth metals, for other uses. According to the European Commission, it is “estimated that each percentage point reduction in resource use through increased efficiency would generate 12-23 billion euros, and between 100,000 and 200,000 jobs across Europe.” The future of e-waste in the circular economy has the potential to increase jobs, efficiency and decrease the damaging environmental impact from rare earth metals. As we continue to reuse more of our old devices and using its different components with new products we will start to see the benefits of a circular economy. By having a reusable, efficient and sustainable economic model will ensure that everyone will reap its rewards. Read more about our programs. Donate technology here.